At the very heart of Chopard's women's jewellery line, the Happy Diamonds line is as unique as it is timeless. 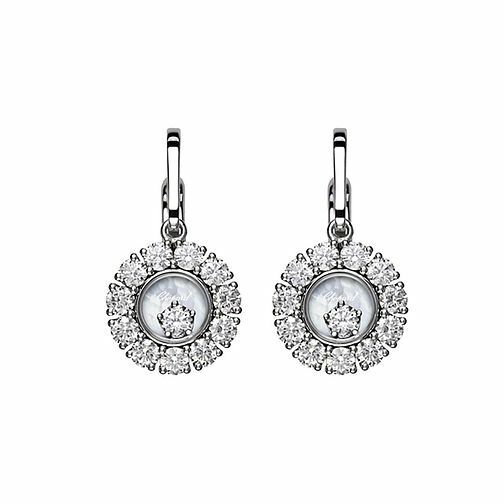 Showcasing gushing beauty, these 18ct white gold drop earrings are surrounded by stunning diamonds and feature the iconic moving diamond within. An elegant statement piece for that special occasion.